Cucina Povera: Who are you calling a Tart? It seems that there is something about the tarty, puckery sourness of lemons that, when baked into a luscious silky smooth tart can make some people weak in the knees. I have a friend who is quite the aficionado of citrus tarts. 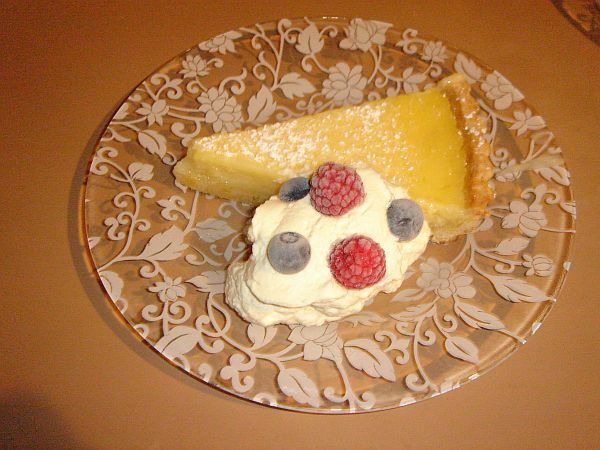 On occasions when we have been out for lunch, we must at least look at having a sweet or dessert (one must always make room) and if there be a citrus tart on the menu, then "Wheel out the pastry cart and let us eat tart!" The tart will be ordered and, upon its arrival, it will be analysed, tasted and scrutinized. The pastry must be short and crisp, the lemon tart, but not too twangy, there must be the right amount of acidity as well as tartness, whilst maintaining a mellow, creamy sweetness. When the tart is 'just right' there will be a hush over the table and communication from here on will consist of 'mmm's' and 'ahhh's' until savouring (more like devouring, but we are ladies) is complete. I decided I wanted in on this tart action. I wanted to replicate for myself the joy and pleasure of making a citrus tart, to share with others. When looking for a recipe however, I was afraid of those which required making a lemon curd. I am always worried about my eggs cooking and ending up with a lumpy, corn-floury tasteless saucepan of goop. I found a recipe for a Lemon Lime Cream Tart, a no-curd kind, and just knew that I would have to make it, thus throwing my reputation as a self-styled pastry cook (yeah, in my own head I am!) upon the mercy of friends and family to see if my tart would indeed surpass others they have tasted. The recipe I use for the best Citrus Tart ever is by Jamie Oliver. From his book 'The Naked Chef'. This recipe is so good there is nothing I wish to do to alter it to make it my own - So bless you Jamie, and here is his recipe. With this particular tart, as it has a moist filling, it's important to egg-wash the uncooked tart shell before adding the filling. This adds a sort of waterproof layer and keeps the pastry crisp and short for longer. Whisk together the sugar and eggs in a bowl. When they are well mixed, slowly stir in the cream and the juices. Put the cooked tart shell back into the oven and then pour the filling into it – I find this reduces spillage. Bake for around 40 to 45 minutes at 350 degrees F or until the filling is set, but still semi-wobbly in the middle (obviously different ovens will cook at different rate so it is good for you to try this tart a couple of times to gauge exactly when you should take it out of the oven). You can dust it with a little icing sugar, if you wish. Serve with a huge pile of fresh raspberries or strawberries. Whatever you decide to serve it with should be quite simple so that you let the tart do the talking. I think I am allowed to do a quiet little victory dance at my result. It is so good I have been asked to make this tart again... and again. I think it might become my new (if somewhat stolen) signature dish. OMG!!! 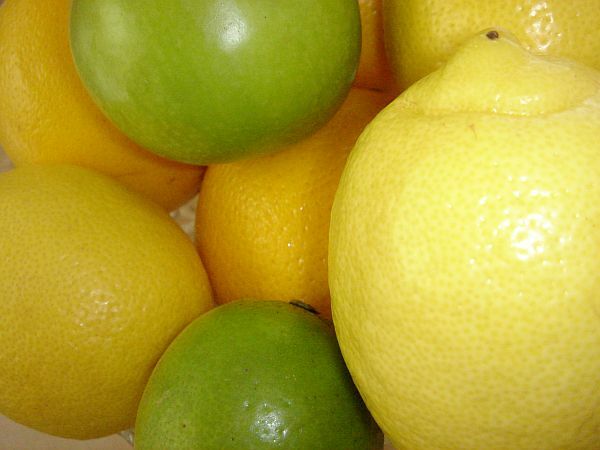 I AM One of those Lemon & Lime Aficionados! Definitely saving this!! !